Included in these pages is an annotated booklist on resources which we have found seminal both personally and congregationally as we by God’s grace build our lives, our church and practices on the foundations given to us in Scripture. These titles reflect our own limited exposure, but we believe for a start, they will make useful material for your learning and growing as they have been for us. The booklist contains some personal comments as well as the summary of the book. May you be blessed as you take time in the months ahead to read and learn. The growth of the church begins as every individual understands the foundation of his salvation and sanctification. When the basis of Biblical spiritual change is understood, life as an individual, a family and a church becomes more simple. Time, energy and resources will not be lost in an endless chain of activity based on a misconception that spirituality can be obtained by over achieving. Instead life and resources will be channeled into what counts for eternity as we all become instruments of grace, having received for ourselves grace from a living and gracious God. We have also included details of bookstores in which these books are obtainable both local and online. Comments: A Call to Spiritual Reformation Demonstrates Scriptural praying by studying Paul’s prayers, showing his concerns and contents. Scripturally grounded prayers will make us wonder if we have been making vain repetitions and trying to do magic in our prayers. Book Summary: God doesn’t demand hectic church programs and frenetic schedules: he only wants his people to know him more intimately, says D.A. Carson. The apostle Paul found that spiritual closeness in his own fellowship with the Father. 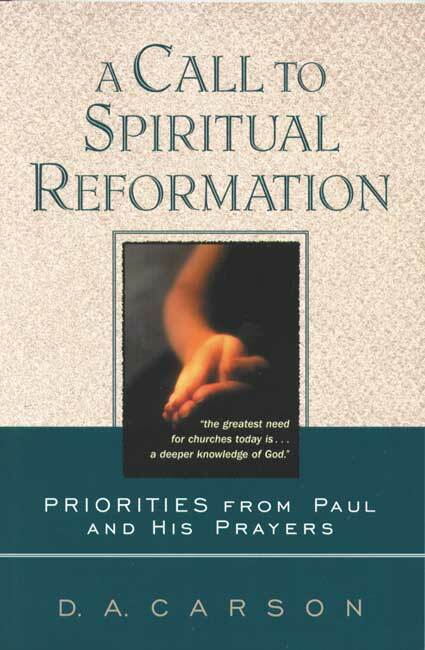 A Call to Spiritual Reformation investigates the Epistles to see what lessons Paul taught in his “school of prayer”. 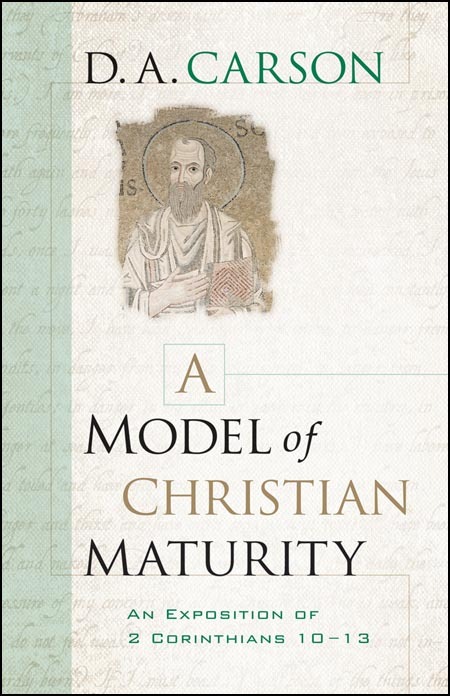 Comments: A book that every Christian and ‘Leader’ who thinks he is ‘Mature’ should read to find out if he is really so according to Paul’s view of things. Reveals the ugliness of spiritual ‘one-upmanship’ which unfortunately is rampant within the church and seen as a form of holiness!! Summary: According to Bible Scholar D.A. Carson, 2 Corinthians 10-13 most clearly reveals Paul’s heart and mind. It contains well-known passages, such as Paul’s description of his thorn in the flesh and an intense chronicle of his specific sufferings. This section of Scripture also models Paul’s style of spiritual leadership and warns of false leadership in the church, something of crucial importance to anyone with an influential role in the body of believers. Carson unpacks Paul’s call for us to embrace discipline and obedience, and his thoughts on the nature of spiritual boasting. Through Paul we explore the struggles, opportunities, and intentions of a Christian under fire, journeying with him as he seeks to guide the Corinthian church and speak to us as well. Comments: Worshiping God in the receiving of His Word is no passive process. This is a slightly methodical book which demonstrates how a listener can and should participate together in the body of Christ in the receiving of God’s Word. Summary: Sixteen years ago, Dr Jay Adams released a serious book on the importance of listening to the Word of God as it comes from the preacher. Sadly, the publisher selected a comic book figure for the cover, and a title that did not convey the serious tone of the book. It is the privilege of Solid Ground Christian Books to give this long-forgotten book a new chance to reach the ears and hearts of a new generation. 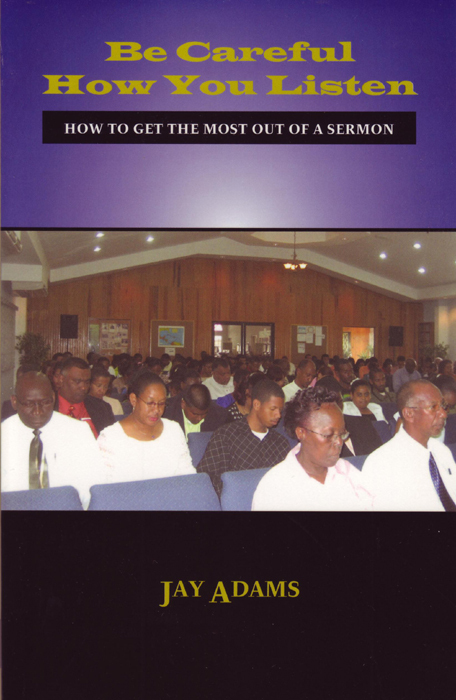 This is a book that will be useful for new believers and for seasoned veterans as well. In his usual candid style, Dr Adams seeks to challenge the people in the pew to take up their task of sermon-hearing with earnestness. The book will be useful in Sunday school classes, Bible studies, small group settings, and even in family reading.